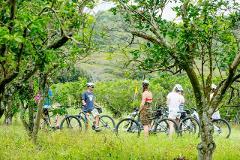 Excite is how we describe the experience you’ll have cycling around some of the back roads and tracks of Rarotonga. We still have a strong emphasis on storytelling with the areas you will visit setting a magnificent back drop to some truly engaging stories. You will likely cross a creek or two - so you can expect to get wet and possibly a bit muddy too. As your cycle tour nears its end you can look forward to a sunset cocktail or drink of choice on the beach, and the opportunity to cool down and wash the mud off with a swim. Excitement is what you get with around 4 1/2 to 5 hours of riding over at least 18kms. 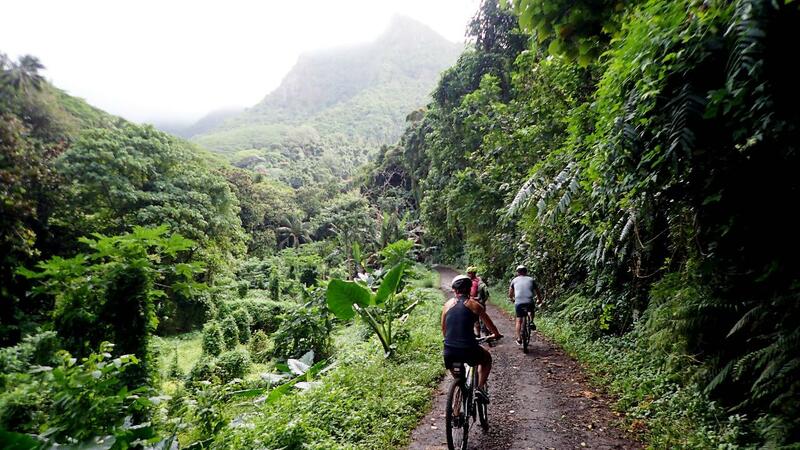 This tour is suitable for experienced cyclists with a reasonable level of fitness, who want to experience a little more of the island than is offered in the discovery and explore options. Pick up from your accommodation is between 12 and 12.30pm, and return time is between 6.30 and 7pm. Ensure to wear clothing that is suitable for getting wet - or swimwear under your clothes, and wear some good sturdy shoes. Bringing plenty of water is a must as well.